Whenever you have an upcoming product launch or event to promote, flyers are a fantastic way to spread the word. 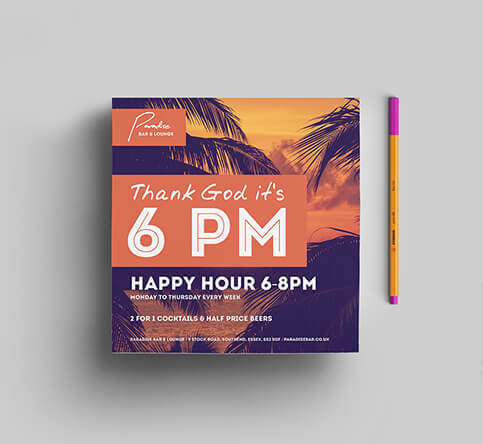 The key to making your flyer campaigns a success is down to design and it’s really a simple process when it’s broken down into stages. To help you get started, we’ll talk you through everything you need, along with a few flyer examples. Once you’ve decided flyer promotion is the cornerstone to your promotional push, you’ll be faced with a blank canvas. Don’t let this faze you – following these six simple stages will help you design the perfect flyer for your business. Begin by selecting the paper size you want your flyer to be printed on. It’s helpful to decide this before you get on with the design as it’ll determine what room you have to play with. For example, whether to use landscape or portrait images. It can even help to determine your font size. 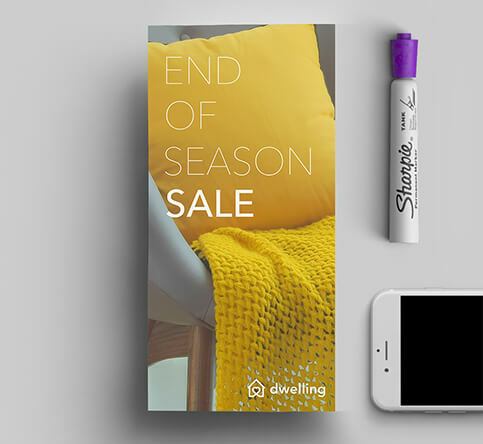 An effective flyer has short bursts of text, giving the recipient all the essential information they need about the promotion. Factoring this in when deciding what text to include is important. If you’re promoting an event, include the title, date, location and a summary of what people can expect. For products, stick with the name, price, where to purchase, an outline of its benefits and company contact details for any queries. Colour schemes play a big part in a flyer’s effectiveness. To successfully capture the attention of your recipients, using vibrant colours is usually the route to take. However, colours evoke different feelings in people when they see them, so your choice should depend on the reaction you want to get from your audience and the product you’re promoting. As a rule, contrasting colours and more eye-catching but co-ordinated colours give off a uniformed professional look. Once your colour scheme is in place, select an image to form the basis of your flyer. You can even do this before you choose the colours – some designers may prefer to let their image determine their choice of colour scheme. Remember to select an image that reflects what you’re advertising and your flyer size and shape. It should be related to your promotion, so your customers can figure out exactly what’s going on at a glance. A call-to-action (CTA) is the take-home message you want your audience to digest and act upon after viewing your flyer. A strong CTA – in the form of a short line of text – will implore the reader to take further interest in your promotion. “Buy now at…”, “Discover more by visiting…” and “Tickets available from…” are all classic examples. But they can be embellished with more creative language. 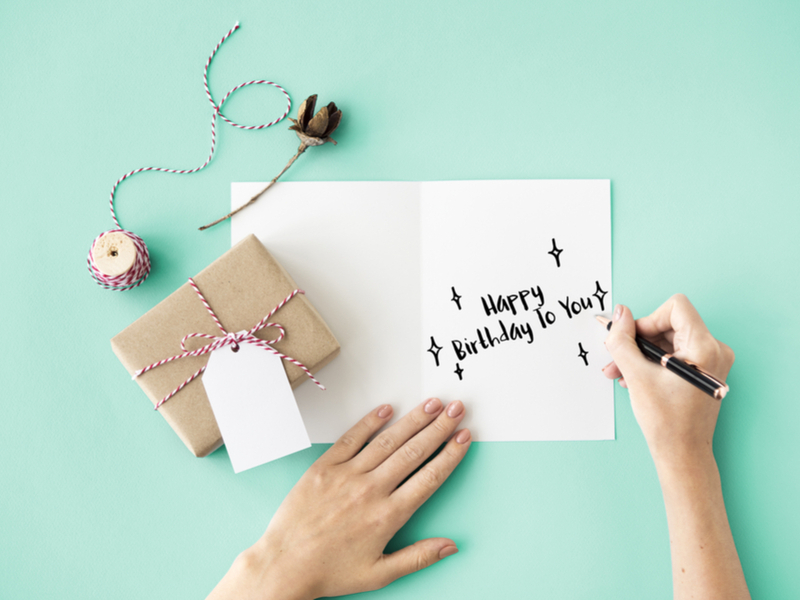 Whatever you’re aiming for with your flyer campaign, whether it’s more people at an event or raising brand awareness, simply shape your CTA to suit. Once you’ve decided on your artwork, put the finishing touch on your flyer by choosing a suitable paper type and weight. Thinner paper is budget-friendly and allows bulk printing for a lower price – ideal if you’re distributing many copies. Thicker paper, however, has a more retainable quality – it’s thickness gives off an air of luxury – so factor this in when deciding the paper type and weight. Different variations such as silk, gloss and bond paper are available and can add extra quality to your flyer. 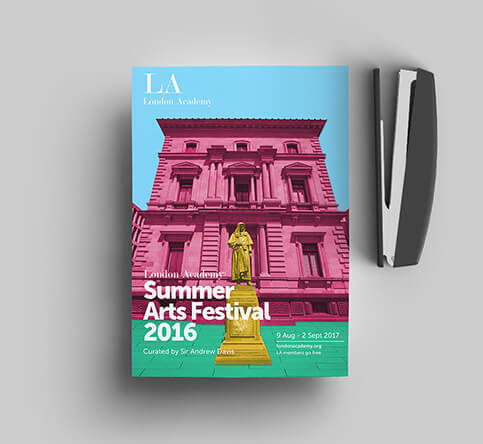 If you need inspiration, we have several flyer examples to help ignite your creative spark. Classic, compact and concise, A5 flyers are what you’ll commonly see handed out on the streets. They’re fantastic for small businesses working on a budget and have enough space for snappy amounts of text, an accompanying image and a colourful eye-catching design. Folded flyers are extremely versatile and perfect if you want to include detailed text as you’ve got extra pages to work with. With all that extra space, you can touch on more topics and combine the information with images. Try separating text into smaller chunks across a double-sided folded flyer to increase its readability. 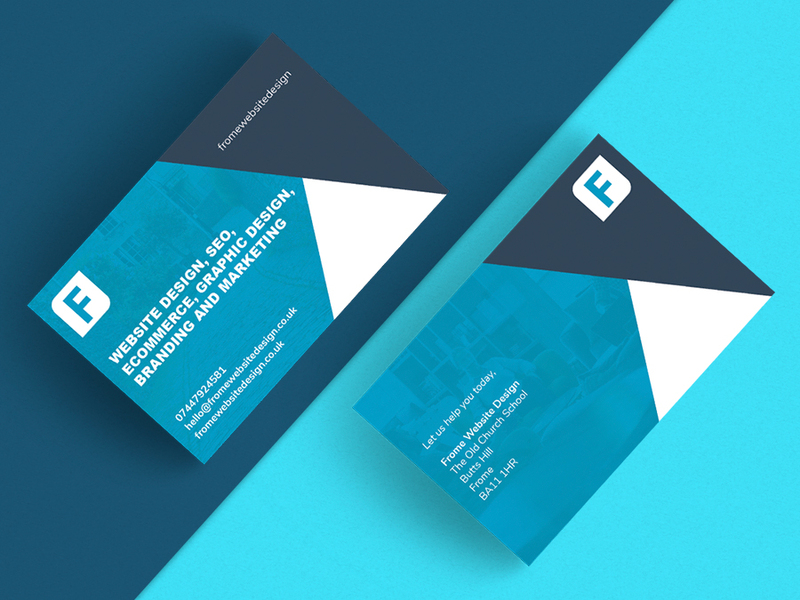 For a less conventional look, square flyers can give your promotion the edge. Although smaller in size, they’re equally as effective when combined with attention-grabbing artwork. Square flyers are designed for striking visuals, so choose the right image and colour scheme to maximise the effectiveness of the shape. 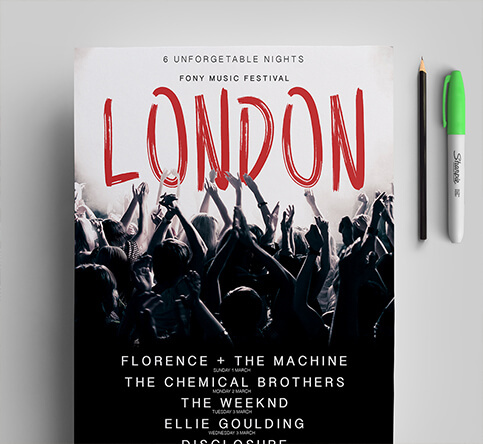 Embrace larger images and bigger font sizes with A3 flyers which can masquerade as a poster too. Choosing a flyer this size can attract attention quite easily, especially when coupled with impressive imagery and large text. If you’re wanting to make a big statement, A3 is the perfect way to do just that. 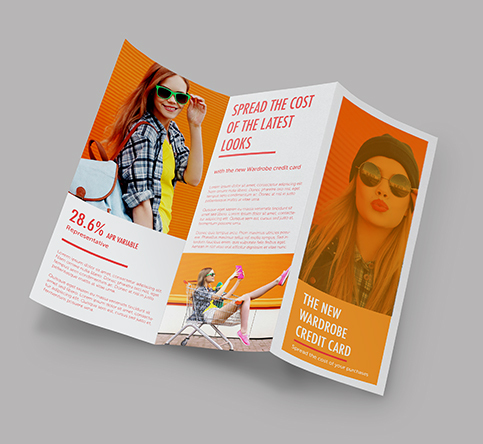 A DL flyer’s slim design mirrors the shape of a folded leaflet and lends itself to artwork which contains portrait images, accompanied by short snippets of text. 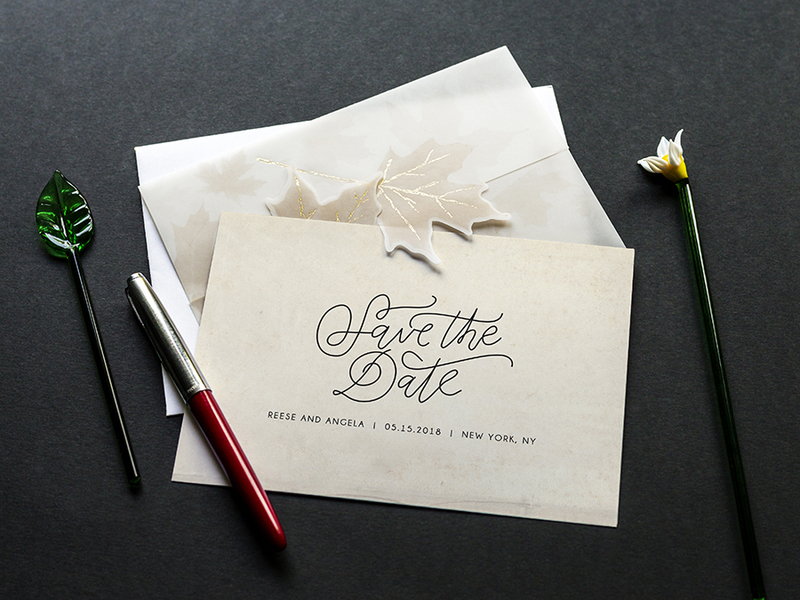 Select this paper size if you’re looking for a simple image and CTA design to effectively target your audience. 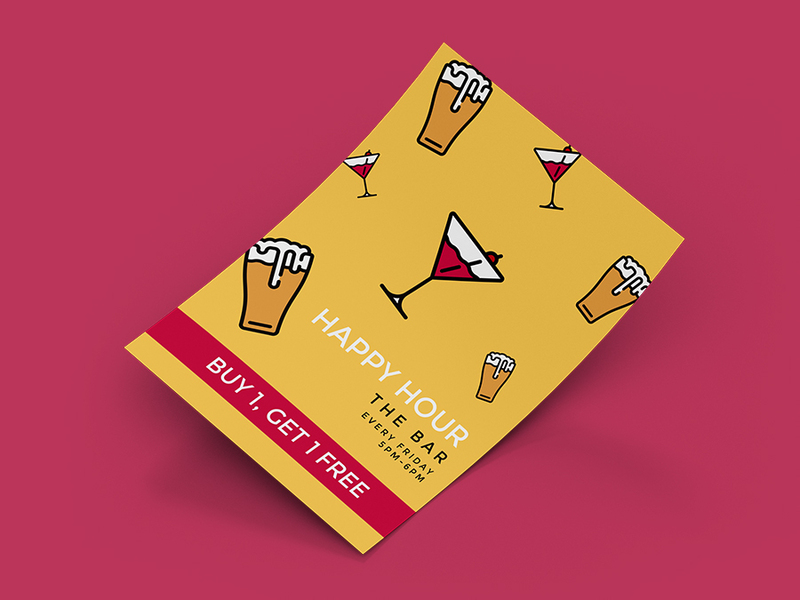 Regardless of your design, paper type or size, Solopress can print flyers for your business promotion. Send us your artwork and we’ll print your designs exactly how you want. Looking for inspiration? We also have templates available to help you get creative with your flyers.